Nirjala Ekadashi occurs on the eleventh day of the Shukla Paksha according to Hindu Lunar Calender. Nirjala Ekadashi occurs in the jaista month as per Hindu Calender. Nirjala Ekadashi occurs in the May Or June. Nirjala Ekadashi fast begins on Ekadasi sunrise and ends on next day (Dwadasi) sunrise. 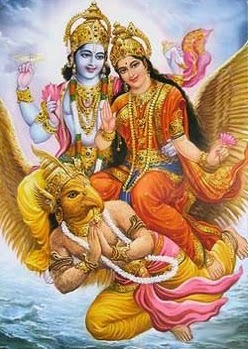 Nirjala Ekadasi fasting is dedicated to the Lord Vishnu. Nirjala Ekadashi is on Monday 9th June in 2014. Nirjala Ekadasi is one of the strictest fast in Hindu religion and among all Ekadashi's. Ekadashi is a sacred day, according to the positions of Moon, two Ekadashi's take place every month in the Hindu calendar. Ekadashi fast is observed on every eleventh lunar day. In one month, two Ekadashi fasts are observed. One Ekadasi fast occurs during the Shukla Paksha (bright half) and second one occurs during the Krishna Paksha (dark half). A fast is to be observed on Ekadashi day by all Hindus. During Ekadashi, do not driking water fast is ideal that is Nirjala Ekadasi. In accordance with the Hindu religion, the day of Ekadashi is considered to be religiously beneficial. The occasion of Ekadasi is considered to be the most auspicious among various fasts. On the auspicious of Nirjala Ekadashi devotees will woke up early and finishes their regular activities and observe fast on whole day chanting the Lord Vishnu mantra's like stotram, Astakam, Lord names. In accordance with the Hindu Scriptures, it is extremely essential to avoid the consumption of grains and cereals on the day of Ekadashi. Nirjala means ‘without water.’ Vishnu devotees who undertake this fast does not drink water and does not eat food while fasting on the day. Observing Nirjala Ekadashi fasting provides the benefit of all the other Ekadashi's observed in a year. The Significance of Nirjala Ekadashi fasting is explained by Sage Vyasa to Bhimasena (the second of brother in Pandava). Nirjala Ekadashi is the most beneficial in all other Ekadashi's.